Today, Wednesday 20th January, the Honourable Leader of the Opposition and members of the Opposition met with a delegation led by His Excellency Chen Changzhi, Vice Chairman of the Standing Committee of the National People’s Congress of the People’s Republic of China. Also accompanying the Chinese delegation was Mr. Cao Weizhou, member of the Standing Committee of the National People’s Congress of the People’s Republic of China and Vice Chairman of the Foreign Affairs Committee. 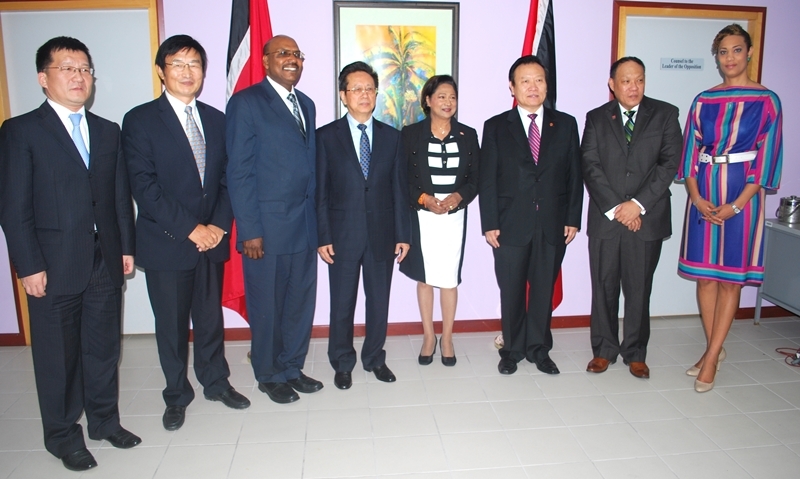 His Excellency Vice Chairman Chen highlighted the positive role of Kamla Persad-Bissessar and her Government in supporting the “One China” policy as well as the strengthening of TT-China relations during her administration’s tenure. 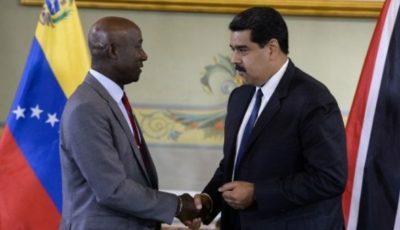 He underscored the construction of the Couva Children’s Hospital, delivery of the naval vessel and the provision of medical support as examples of progress in TT-China relations. 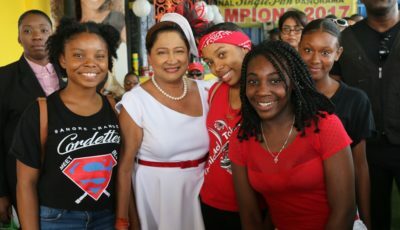 Mrs. Persad-Bissessar reiterated that the Couva Children’s Hospital is close to her heart and meets international standards and committed to continuing to pursue Parliamentary and other avenues to compel the government to open the facility to the public. 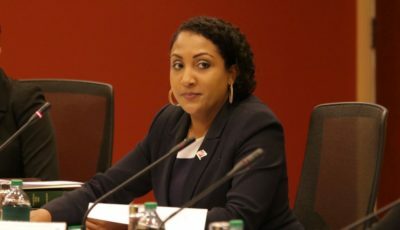 Mrs. Persad-Bissessar reminded the delegation that the National Aquatic Centre and the Cycling Velodromes, both initiatives of her government are being completed using Chinese concessionary loans. She recalled the opening of the TT embassy in China and the gift of land by the Chinese government for this purpose during her tenure as Prime Minister and pledged to continue pursuit of this enterprise. 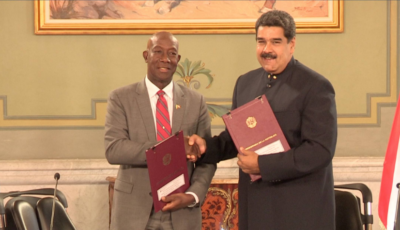 Emphasising that her administration had initiated discussions to have mutual visa exemption between China and Trinidad, Mrs. Persad-Bissessar asserted that she will use all available options to lobby for the achievement of this initiative. In this regard, Vice Chairman Chen declared that he is hopeful for increased Chinese tourist-visits to TT and as such is optimistic that the visa exemption will be aggressively pursued by the Government of Trinidad and Tobago. In conclusion, the head of the delegation Vice Chairman Chen complimented Mrs. Persad-Bissessar on her administration’s efforts and indicated that he looked forward to continuing good relations between the TT and China. my name is Jonathan Jones am a TNT citizen i think its a good idea what your doing joying forces with china too constrict a better partnership.never in my 26 years of living did i ever imaging our country would have Delegation with China its a brilliant idea. I would like to know what is the UNC plans for local government. Is there any documented proposed strategy? Is it on line? Could you refer me to the link please?